Our talented OLR students have been busy this spring! The OLR fourth and fifth Grade students performed Schoolhouse Rock Live JR. on April 18th. 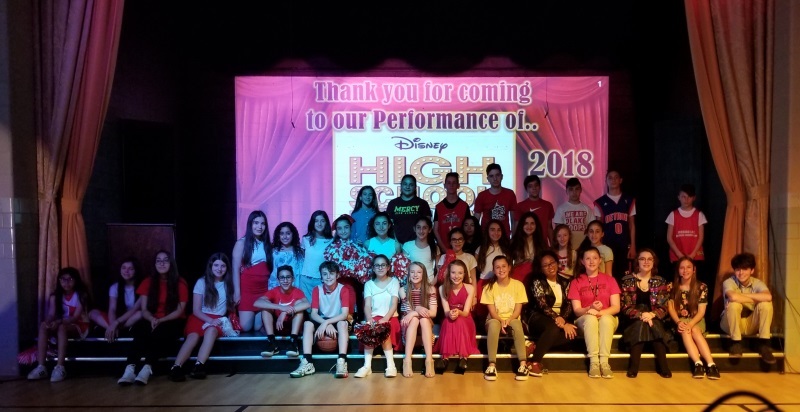 The 6th, 7th and 8th Grade Drama/Music elective classes performed High School Musical JR. on May 9th and 10th. All of the performances were in the OLR Performing Arts Center. Both plays are shorter versions of the original musical productions. They included these songs from Schoolhouse Rock: “A Noun is a Person, Place or Thing, Unpack Your Adjectives, Interjections and Great American Melting Pot”. High School musical Songs included: “Start of Something New, Get’cha Head in the Game, We’re All in This Together”. The performers did a terrific job and the performances were enjoyed by all. Mr. Pyles and all the faculty and staff for all their cooperation and support. Ms. Mazich – Music Director and Mrs. Zazaian – Drama Director for all the hard work, extra rehearsals, set designs and planning which made the spring 2018 plays a great success.